Renewable Energy normally refers to usable energy sources that are an alternative to fuel sources, but without the negatively evaluated consequences of the replaced fuels. Although energy issues have a long tradition in sociology and other social sciences, it may now be high time to conceptualize these in sociological terms as the lynchpin in our understanding of the way societies are set to develop in the 21st century. 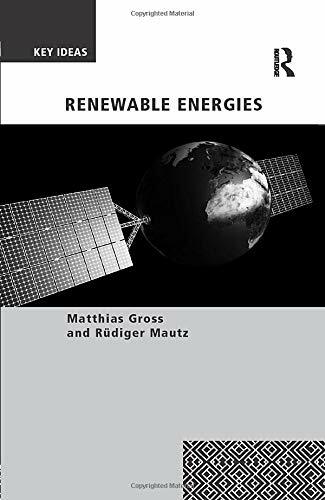 This concise book focuses on sociological attempts at better framing contemporary theories of energy transformations and to deliver an accessible overview on the relationships between different types of renewable energy sources and their practical usages in modern societies. A strong focus is laid upon new forms of environmental governance and unavoidable knowledge gaps triggered by attempts to transform contemporary energy systems to renewable ones. Critical topics include the challenge of transition from centralized to decentralized system structures, the integration of renewable energies into existing energy structures or the replacement of these, coping strategies to unforeseen risks and conflict issues, and socio-cultural reservations to new technologies connected to renewable energies.